What Is More American than Hemp? Home/Hemp Facts/What Is More American than Hemp? Do you know what the Declaration of Independence and the first American flag (the one Betsy Ross made), have in common besides being two of the foundational symbols of the United States? Both were made from hemp. In his diary George Washington said, “Hemp is greatly viable for winning the war and sustaining a future fantastic for America.” From the founding of the U.S. until the end of WWII, hemp played a prominent role in American industry. The young republic relied upon the strength and rot resistance of hemp sails and riggings for warships and merchant ships during the Revolutionary War. Hemp was also used to make many household goods including paper, clothing, sacks, and ticking for mattresses. Hemp was a highly valued crop because of its hardy nature and ability to rejuvenate the soil and grow in all but the coldest climates. The development of the colonies’ thriving hemp industry helped early Americans to become less reliant upon British imports. George Washington, Benjamin Franklin, Thomas Jefferson and John Adams all extolled the benefits of hemp and urged farmers to sow it as an act of patriotism. Hemp farms spread from the east coast throughout the U.S. from the Revolutionary War till WWII. By 1850 there were 8,327 hemp “plantations” (farms with at least 2,000 acres) in the U.S. according to the U.S. Census that year. There were tens of thousands of smaller farms. Though demand for hemp temporarily waned in the early 1900s as steamboats replaced sailing ships, demand soon picked back up when the U.S. entered WWI and new uses for hemp were discovered. Hemp was used to make uniforms, shoes, baggage, parachute webbing, and many more goods for the military. In 1938, an article was published in Popular Mechanics Magazine called “New Billion Dollar Crop”. It stated that hemp could be used to manufacture more than 25,000 different products “from cellophane to dynamite.” Henry Ford used hemp to manufacture a new form of plastic in 1941 that was reported to be 2,000 times stronger than steel and 1,000 pounds lighter. He demonstrated the strength of his revolutionary hemp-based plastic on film. In the film, he struck the fender of his prototype car made from hemp-plastic with an axe. Not even a dent was left in the car’s body. Unfortunately, by this time hemp farmers were already beginning to be penalized for growing hemp because of the Marijuana Tax Act that had been passed in 1937. 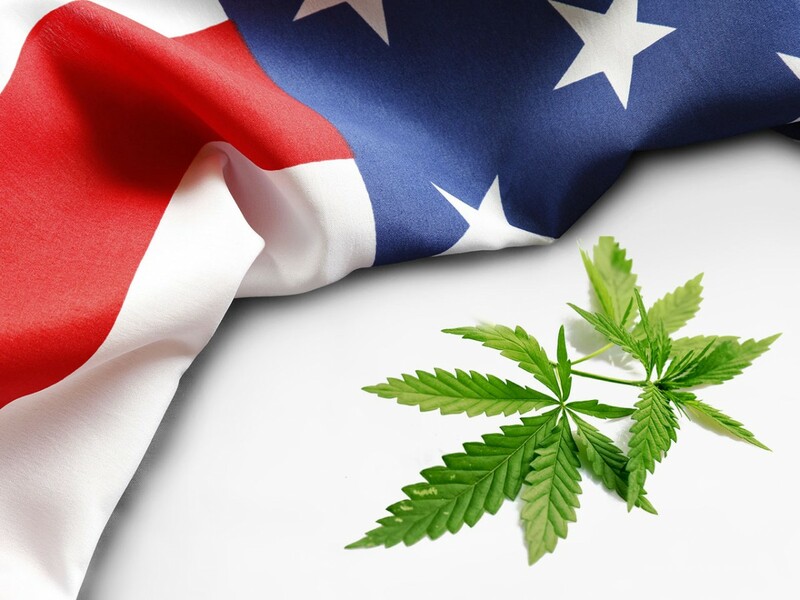 Confusion about the difference between marijuana and hemp had led the federal government to pass this act which levied a tax on all cannabis farming whether farmers were growing hemp or marijuana. This tax was temporarily waved during WWII. After the Japanese cut off supplies of hemp from Manila in 1942, the U.S. government distributed 400,000 pounds of hemp seeds to American farmers in Kentucky and Wisconsin. From 1942 to 1945, farmers who agreed to grow hemp – and their sons – were exempt from military service. The USDA produced a “Hemp for Victory” film and booklet that hemp farmers were required to view. Throughout the war, farmers produced 42,000 tons of hemp fiber annually to support the war efforts. Despite the incredible contributions that the hemp industry made to the war effort, misplaced fear about the connection between marijuana and hemp—along with harassment from law enforcement and the popularity of synthetic materials—led to a steep decline in hemp farming after WWII. In 1958 the last hemp crop was grown in Wisconsin before the Controlled Substance Act outlawed growing hemp in 1970. Even though growing hemp is still illegal in most states, the hemp industry is beginning to thrive again in the U.S. Ford Motor Company, Nike, Calvin Klein and Nutiva are just a few of the major manufacturers who import hemp from other countries to use in their products. We are so happy to be able to grow hemp in our state and provide you with organic, American grown hemp products.